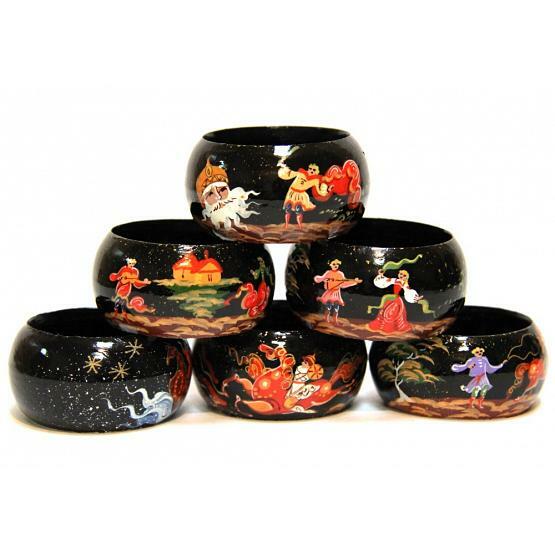 Set of six beautifully hand painted Russian napkin rings featuring scenes from Russian fairy tales. 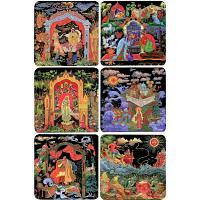 Famous style of Palekh lacquer miniature painting used. 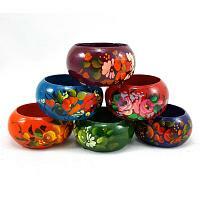 Hand lacquered to preserve the richness of color. Imported from Moscow, Russia.